G. Elizabeth Kretchmer grew up on the south side of Chicago in a family that revered the annual summer vacation. Her favorite trips were always to the Great American West, where raptors soared and mountains loomed and evergreens towered overhead, and where history and adventure and spirituality seemed somehow inextricably and inexplicably linked to the landscape. By the time she was in her mid-twenties, she found a permanent ticket to the West and has lived there ever since. Although Ms. Kretchmer earned her undergraduate degree with her left brain and worked in finance and accounting for the first phase of her adult life, she never felt she was in the right place. After retiring from the business world, ostensibly to raise her three sons, she earned an MFA in Writing from Pacific University and began to raise a cast of fictional characters alongside her real children. She is now a full-time writer of novels, short stories, creative nonfiction, and occasional freelance work. 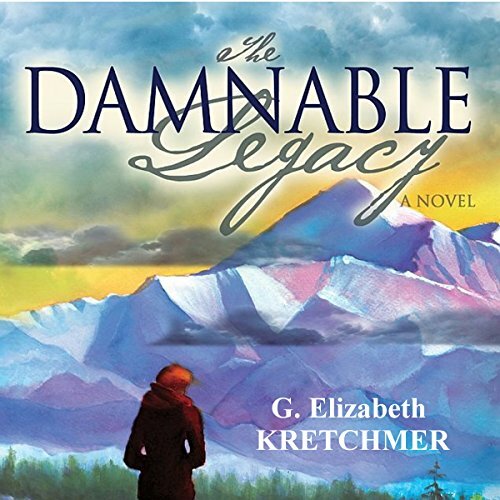 Her debut novel, The Damnable Legacy , came out Summer 2014, and was republished by Booktrope Summer 2015. Her short work can be found in The New York Times, High Desert Journal, Silk Road Review, and numerous other publications. When Ms. Kretchmer isn't writing, she's teaching therapeutic and wellness writing workshops and helping others learn about the transformative power of the written word. For additional information, visit her website and blog at www.gekretchmer.com.